Having a fixed buffet style menu, the Estiatorio Milos is a wonderful place where the food is scrumptious and the ambience is well done and stunning. Having branches all across the globe, from Montreal, New York, Las Vegas and Miami, the one in Athens is a must visit for all. How popular is Estiatorio Milos Athens? People normally club together Goulandris Museum Of Cycladic Art and Kalamata Shopping & Fun S.a. while planning their visit to Estiatorio Milos Athens. Excellent experience, Greek cuisine at its finest plus the awsome service! Super service and top quality dishes. The Milos special plate is a delight with very thin cut vegetables lightly fried coveting a bed of tsatziki. Superb grilled shrimp and seafood. 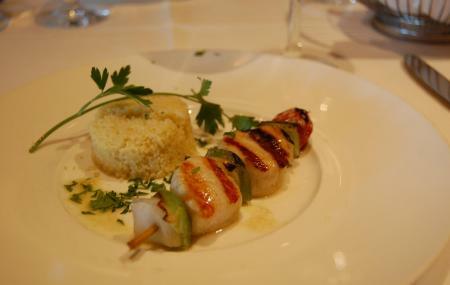 A pleasure to dine there and compared to other top tier restaurants in Greece, prices are reasonable. Stefano our server was incredible. The fish was so fresh and deliciously prepared we loved every bite. A fresh tomato salad and grilled sardines to start were amazing. This is the best fish restaurant in Athens.